When I walked out of the gates of university I threw my book bag into the bin, hopped into my car and drove to metaphorical freedom. Education and I were finito, or so I thought. Turns out you never stop learning, even if you might want to. The working world of the 21st century is a competitive one where self-development and continuously soaking up information is so very important if you wish to succeed. No matter what career you chose there is always much more you could learn about it to get ahead so this blog puts the focus on finding the resources to fine tune your craft. Fresh out of college with the degree in your back pocket sometimes won’t cut it. Show your future employer that you are keen to learn all aspects of your discipline and that you have demonstrated the drive to self-teach. 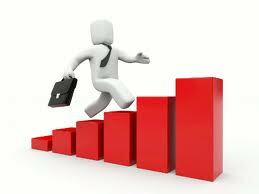 Here is a couple of career categories and how you can up your ante in succeeding within them. WordPress is very handy to have a proficiency in if you wish to enter the communications industry. It is king of blogging platforms out there and is actually quite user friendly. You won’t need a degree in rocket science to get your head around it. Learning about WordPress is as easy as googling it – there are many tutorials, videos and blogs out there with a wealth of information about its usage. Twoggle.com is a good place to start. Social Media can be a frightening topic. The days of operating a well groomed Facebook page are no longer sufficient at making you a virtual reality champ; now you need to be able to successfully pilot a page on twitter, post pics on Instagram and frequent Pinterest. Learning, again, is quite easy. A web search will deliver up a delicious suite of online learning options for the social media virgin and best thing is there is nothing boring about an education in social media. You waltz into your interview quietly confident. With your business qualification, and 3 years of creating excel spreadsheets in college, you know you have this admin role sussed. Maybe you do but maybe you could knock out your employer if you also mastered a couple of other software packages. MYOB is a great one to have if you are going to be handling sales and purchase orders while Adobe Creative, Publishing and Photoshop can give you a competitive edge and also offer you a sexier host of opportunities in what might otherwise be a pretty monotonous office role. Your ability to navigate design or publishing software’s might take your career in a more exciting direction. You might be seeking a role within the community in a caring capacity. Perhaps you hope to become a social care worker or an aged care assistant. It will help greatly if you endeavour to get some volunteering experience under your belt. There are always many opportunities to volunteer and it is greatly rewarding. It shows future employers that you care about your work and that it is more than just a pay check but a vocation. Hospitality is primarily about great customer service right? So why not make yourself an expert in customer service. How can you be an expert? Well, it requires patience, openness , empathy and strength and learning these skills wont cost you much. Learn meditation, take a yoga class, join a gym. Ok, none of these are probably what you were expecting but trust me a calm and relaxed hospitality worker guarantees a happy customer. And a happy customer means you have excelled at your job. The above activites are just some of a selection that promise peace and harmony and not only will they help you do your best job, they will help you be your best self.